The FSU-SSB is a fast, compact, high precision strain bridge input module delivering high resolution readings over USB and communicated directly to a PC. It is aimed at dynamic applications that require high speed measurement. It delivers high speed measurements of 4800 samples per second at 13 bits noise free resolution. 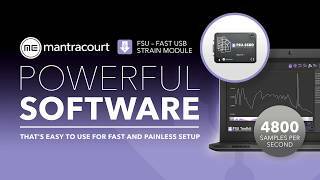 Simply by plugging the USB strain device into a PC, data can be measured from a sensor using the FSU-SSB for a wide range of high speed systems. 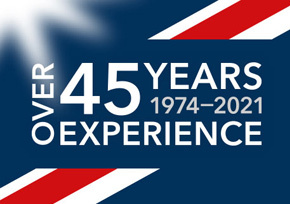 This is achieved using the powerful Toolkit software, which has been developed in-house by our design engineers to provide optimised, fast viewing of data. It allows the viewing of input status and module information, simple switching between engineering units as well as two part calibration, high speed navigation and FFT frequency component analysis. Data can be exported to a CSV file. This free-standing module is fitted with 9-way ‘D’ type socket for connection to the strain bridge or load cell while a micro USB socket allows connection to a PC and does not require external power. A DIN rail mounting option is also available. For lower speed applications, the DSCUSB, which can log up to 100 samples per second, would be a suitable solution. FSU Toolkit : The FSU Toolkit is a configuration and analytical tool designed specifically for configuring FSU modules. This toolkit allows configuration, calibration, data recording and review and for parameter management of the modules. A: FSU modules can connect to a PC by plugging into a USB port and do not require an external power supply as they appear as a ‘single unit load’ i.e. they draw <100mA. Appropriate USB drivers must be installed which are automatically installed with the FSU Toolkit software. Ensure the Toolkit is installed before plugging in the FSU device. Q: What measurement rate does the FSU operate at? A: 4800 sps - this is a fixed rate. A: By using the free Toolkit software which is available to download from our website. It allows configuration, calibration, data recording and review and for parameter management of the modules. Q: What noise free resolution can I expect from the FSU-SSB? A: 13 bit resolution, which equates to 1 part in 8000 noise free over a 1 second period. A: The module indicates status via a red Healthy LED. When the FSU is placed in configuration mode the LED will be on solidly. When the FSU is in recording mode and transmitting data the LED should flash ON for 100ms every 500ms (LED will be OFF but flash on for a tenth of a second every half a second). If the integrity of the load cell is in doubt the LED will flash OFF for 100ms every 500ms (LED will be ON but flash off for a tenth of a second every half a second). Q: How do I power the FSU? Q: How do I get the software for the FSU? Q: What is the FSU toolkit used for? A: The FSU Toolkit is a configuration and analytical tool designed specifically for configuring FSU modules. This toolkit allows configuration, calibration, data recording and review and for parameter management of the modules. Q: Can I connect multiple FSU’s? A: Only one (1) FSU at a time can be connected to a PLC. Q: Can the FSU be din rail mounted? A: Yes, a DIN rail mounting kit is available for top hat DIN rail. Optional part DSCUSB-DIN consists of a pair of screws and two DIN rail clips. Q: What kind of approvals does the FSU have? Q: What is the warranty period on this device? A: All FSU products from Mantracourt Electronics Ltd., ('Mantracourt') are warranted against defective material and workmanship for a period of three (3) years from the date of dispatch. Q: What are the dimensions of the cased FSU? 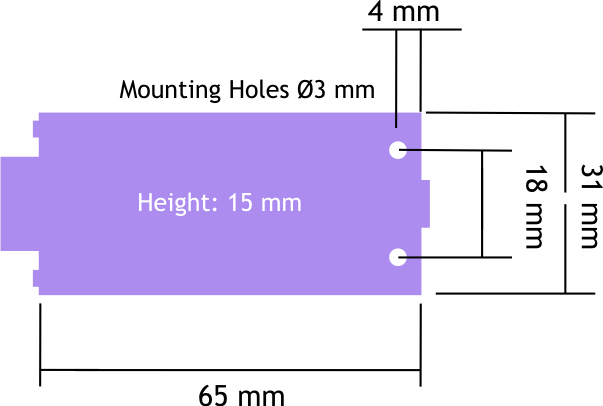 70.5 x 51 x 20mm excluding 9-way ‘D’ type socket connector. 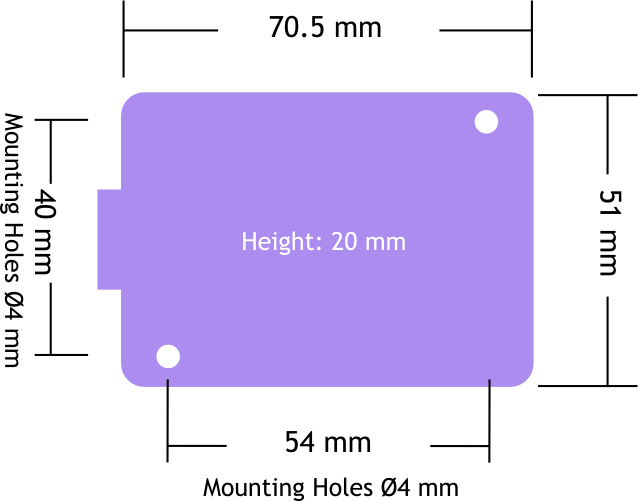 74.5 x 51 x 20mm including connector.